It is March 1st today and there is no sign of warmer weather in the Pacific Northwest. I was reminded of the saying, “In like a Lion, out like a Lamb” and sure hope that will be true this year – as we are all freezing here! I was born in Calgary, Alberta and up until I turned 8 years old. I am a March baby and I remember snow on my birthday every year when living in Canada. But from then until a few years ago I had not seen snow on my birthday here in Washington State. March is typically rainy in western Washington – but usually not cold enough to snow. However the weather patterns have been slowly changing and the things I don’t remember in the seasons 40 years ago, or even 10 years ago – are indeed happening today. And so we make a fire almost every night – bundle up when we go outside to take a walk and try to stay warm in the house during the day – and pray for warmer weather to finally arrive. I can’t remember where I heard it – but I know it’s true. Life is made up of many “little moments all strung together”. We wait for the BIG moments to find us – or for us to find them – and we take a lifetime searching for and waiting for something to happen to us. Something bigger than ourselves that will propel us into another level of existence. Something that will preclude our present circumstances. And all along – while we are waiting – we live our little moments – over and over again – unrecognized and insignificant. I have had many of these moments, though at the time – they did not seem like much – nothing to write home about, and nothing worthy of any attention – or worth mentioning. However as I think about where I am today and the significant changes along my journey – they are because of many little moments along the way. These frozen moments in time are unique and personal – and no one can live them for me. No one can experience the joy and pain of being me. No one sees things in exactly the same way – no one loves and expresses like I do. God made me just the way I am. And my “little moments” are special and just for me. I had one of these last weekend at the close of “Bugsy Malone”. I have been a musical theater director for the last 7 or 8 years at a local Christian School and this was my final production. 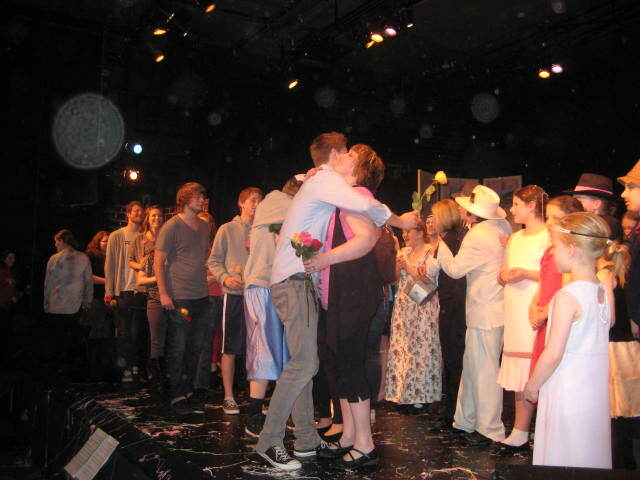 I did not know – but several Alumni were invited to come for the final production and all were given a single rose. At the end when the teachers and those in charge came up to the stage for the final applause – the students started singing one of the songs from the musical, “You give a little love and it all comes back to you – you know you’re gonna be remembered by the things that you say and do…” And they stood in the audience and one by one came up on the stage and presented the rose and gave a hug while still singing. It was what I call a “little moment” in time. Frozen in my memory forever. These are some of my “little moments”. What are some of yours? How have they defined you? This is the week of the Royal wedding between Prince William and Catherine. 30 years ago Prince William’s Mom and Dad, Prince Charles and Lady Diana had their very public royal wedding – seen around the world. It brings back a lot of memories for me. My Mother and I got up in the middle of the night to catch a glimpse of the beautiful princess in her wedding dress and see the wedding on a little color TV in our basement. I was engaged and planning my wedding while watching this – and it held special interest for me – for sure! The royal wedding was in July, I believe – and mine (not so royal) was in September. 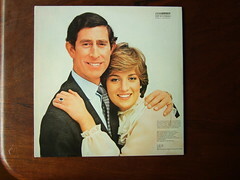 Now we all know the very sad outcome of that royal wedding and for that royal couple – 30 years later. It was doomed from the start. 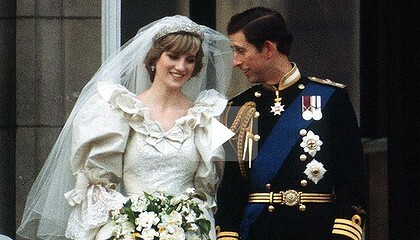 We all know now – what we did NOT know then – the Prince was in love with another women – and this marriage to Diana was very much arranged – as Diana was seen as a suitable bride for a future King with her connections and blood line. But would she have married him – if she knew what sadness lay in store for her? Hind-site is always crystal clear – less complicated and true, isn’t it? But if Diana had not married Prince Charles – she never would have had Prince William and Harry – who both seem so down to earth and actually normal. Everything I’ve read and seen with my own eyes about William and Kate is refreshingly ‘un-stuffy’ and relaxed. William – an accident of a very bad Royal arranged marriage – or an act of providence? What about all the children who should not have been born? The mistakes and bad choices that people make? My own Dad was the product of a bad marriage that did not last. One could argue – should they have married and produced a son? Should he ever have been born? Accident or Providence? Well I do know that if he had not been born – he could not have affected, influenced and touched all the students that he did – being first a high school music teacher in Canada – and then later a professor at Northwest University in Kirkland, Washington. I also realize that I would not have been born either. God sees the big picture – turns our accidents into providence. Takes mistakes and bad choices and gives a second chance – turning something bad into something beautiful. I’m so glad for this, aren’t you? Are you an accident? Do you wonder why things are the way they are? Just remember – with God – there are NO ACCIDENTS – only opportunities to display His glory and His generosity to you. He can take whatever started as a bad decision or a trip down a long, dark and bleak journey – and set it to right. He can use a ‘mistake’ and give it honor and dignity. I’m so glad for this. My God can take any wrong and any mess-up of mine and turn it completely around – bringing new life. It makes me smile – and gives me hope. Not so royal – but in God’s eyes – very majestic and regal – my life, worthy of honor – worthy of saving – all in God’s providence. I live in the Pacific Northwest where snow during the holiday season used to be a rare thing. But in recent years it seems we get snow every year at this time. 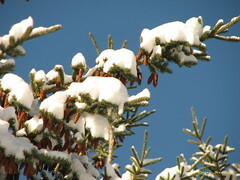 As a child growing up in Canada – snow was expected and NOT a treat. It was really cold from October until well past my birthday in March. In pictures from my childhood – I can see snow on the ground out the window while celebrating another birthday. Here in the Northwest we don’t get tired of it – at least at first. It’s a novel thing and can make you feel just like a kid again. Especially the first snowfall. As I am writing this – the snow is falling in a beautiful cascade of different sized crystal flakes – making the street and yard all white and ‘Narnia-like’. And I can’t stop myself from taking pictures of it – and just staring out the window. It is truly one of nature’s most AWESOME treats for us to feast our eyes on. And so with ‘holiday’ music playing on my Pandora radio – I am a very happy girl today – and may not get a whole lot accomplished – but it is VERY understandable – as anyone who lives in the Northwest knows: It just may not last long – or even be here tomorrow, so we will relish the moment and dream of being a child again – where things like Santa, mistletoe, Christmas trees, surprises, warm crackling fires and hot cocoa were always something fun to look forward to. And for your listening and viewing pleasure I have added a video of one of my favorite’s from Michael W. Smith‘s first Christmas album entitled, ‘First Snow Fall’.